In the last couple of years I’ve looked at, interacted with, and reviewed many children’s apps. I’ve realised I prefer apps where kids get to create something, and even more so if they’re inspired to go on and create something else in real life. I love to find apps that may prompt children to design a puppet, create a story or any kind of communication. * lock the drawings you like, then go back and add your own voice! You can later save your story as a movie! * record a short sentence for each drawing (even add a rhyme) and observe what happens when they are played back in random order. You can record sound effects, describe what you see or tell a piece of a bigger story. * take turns with your children or their friends each recording one sentence per drawing and see how the story unfolds! When you open the app, you see part of an image. Scroll up and down the image. As you do, sections of the image change, unless you lock that section into place. Either keep scrolling up and down, or lock and unlock until you find the right combination of images. As you can see in my examples above, they link together almost like a totem pole. After that, you can record a story. Then start all over again! The app was simple to navigate, versatile and had little built-in surprises. It encourages storytelling. Children can record themselves telling a story inspired by the images. When they tap the drawing, different sounds emerge. The story can be saved as an image or a movie. 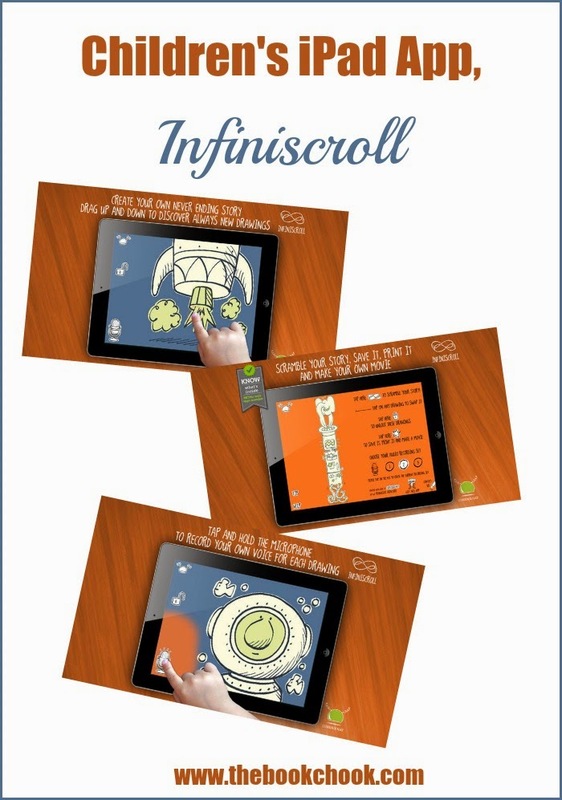 The orange menu leads to extra tips on ways to use the app, making Infiniscroll even more useful an an educational tool. Smart Apps for Kids have a video of a child using the app.